I'm up for more investigators! Dad smoking a pipe! Ottoman with a fez! Works for me! So I've repurposed the Expo thread for this as it didn't seem worthwhile to start a new thread. 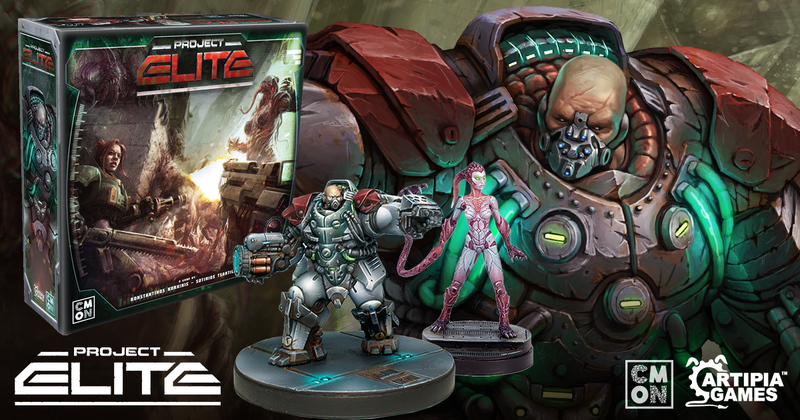 CMON’s Production Manager, Thiago Aranha recalls, “When Project: ELITE released, gamers loved it. We saw their feedback and knew CMON could take the game to the next level with a new edition that upped the production value to match the high-quality gameplay. You’ve fought zombies in the malls. You’ve fought them in the morgues. You’ve fought them in the prisons. You’ve fought them in castles. You’ve fought them in hedgerows. You’ll soon be fighting them in space. 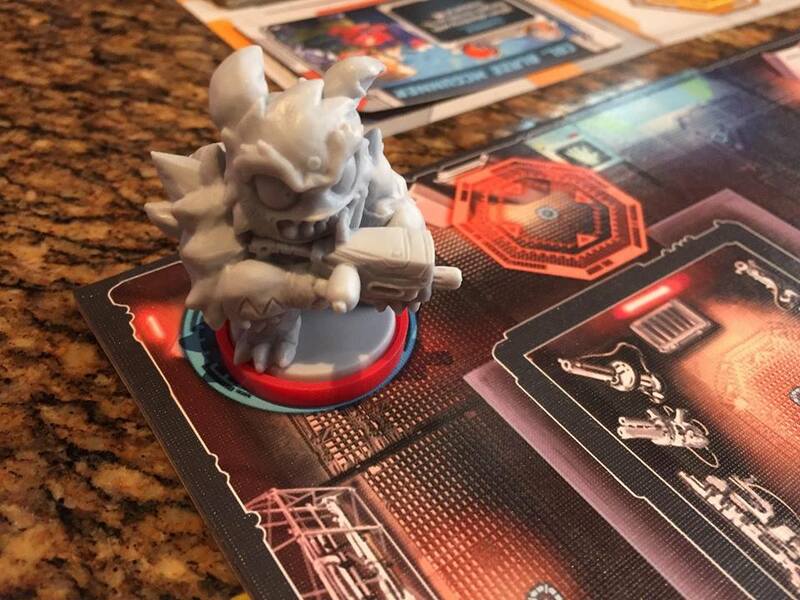 But this new Zombicide lets you fight zombies in an all-new way. CMON has announced a new Zombicide Role-Playing Game. CMON Limited will be launching a Kickstarter campaign for Trudvang Legends, an upcoming storytelling board game based on the successfully crowdfunded Swedish RPG: Trudvang Chronicles. Steeped in epic Nordic and Celtic myths and sagas, players will take the roles of legendary heroes who make their mark on a dynamic, everchanging fantasy world. Designed by Eric M. Lang, Guilherme Goulart, and Fel Barros, Trudvang Legends thrusts players into a cycle of epic sagas, where their achievements will change not only the world itself, but the very rules by which gods, peoples and nature interact. They will quest through an interwoven series of Adventure Books, and the results of their choices will echo through history: changing the relationships between sovereign nations, usurping kings, creating new waygates, or even locking and unlocking parts of the map. Change in Trudvang Legends manifests physically, as parts of the board actually change, making the actions of previous hero generations affect future sagas. However, the changes are only as permanent as long as history remembers them, which makes the game endlessly replayable, and even playing the same Adventure Book repeatedly will have a completely different feeling, because the world itself has changed. Heroes, following a path of destiny, will even become historical fixtures as they become Kings, Guildmasters or even Gods! Trudvang Legends features incredible art by Paul Bonner, Alvaro Tapia, Gio Guimarães, and Henning Ludvigsen and graphic design by Fabio de Castro and Júlia Ferrari. Heroes and monsters will be represented by highly-detailed miniatures sculpted by Juan Navarro Perez, Arnaud Boudoiron, Edgar Ramos, and Aragorn Marks. 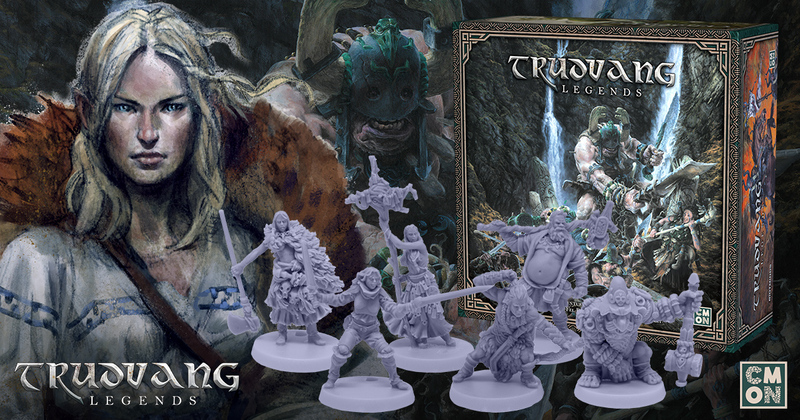 Trudvang Legends will launch on Kickstarter in Q2 of 2019. 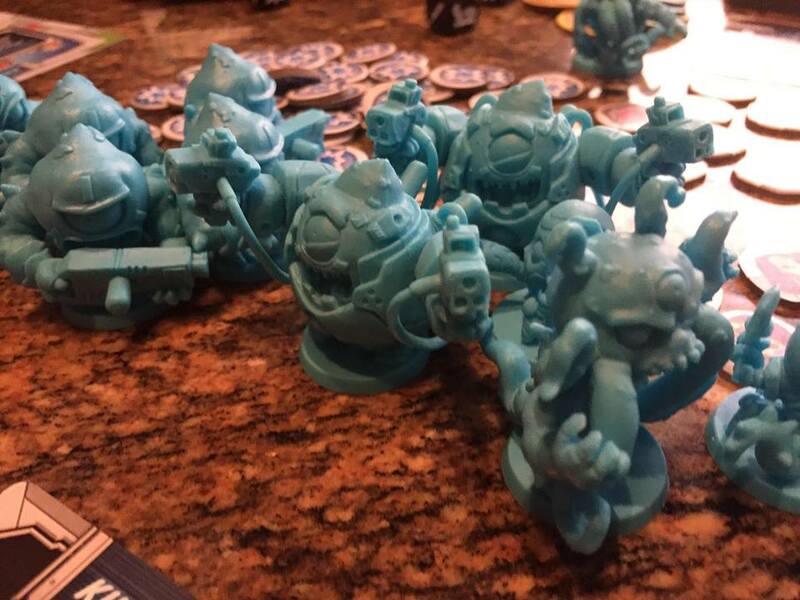 CMON’s newest Kickstarter promises to be out of this world! 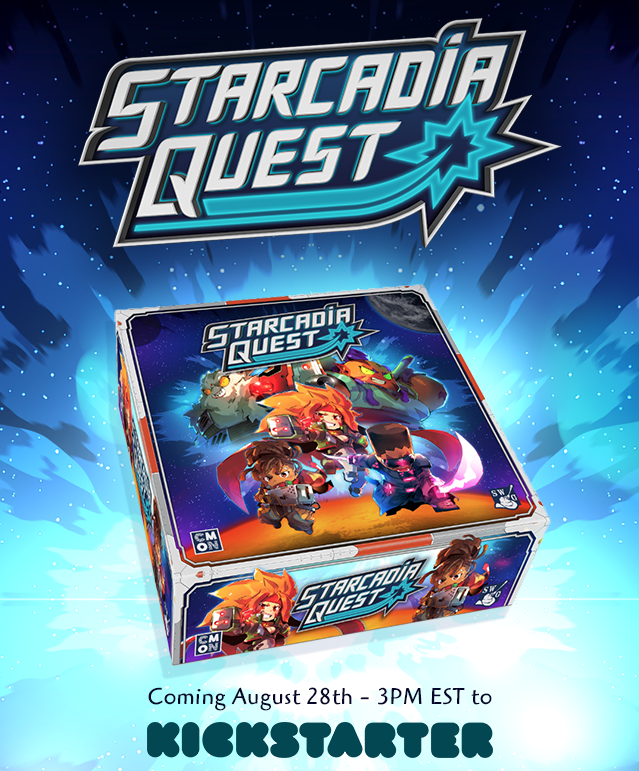 Starcadia Quest is an all new stand-alone campaign game for 2 to 4 players. The dastardly Supreme Commander Thorne is looking to control the galaxy (at least a good portion of it) and each player leads a crew of two heroes flying through space on a quest to defeat him. While they share the same goal, the different crews are not exactly in league with one another. They will compete as much with each other, as they do with Thorne and his army. Players choose the direction their campaign takes, following different branching paths, each with their own unique experiences along the way. They must choose which opportunities to pursue, and which ones to leave behind—a decision that can have serious consequences later in the campaign. Starcadia Quest takes place in a remote galaxy. 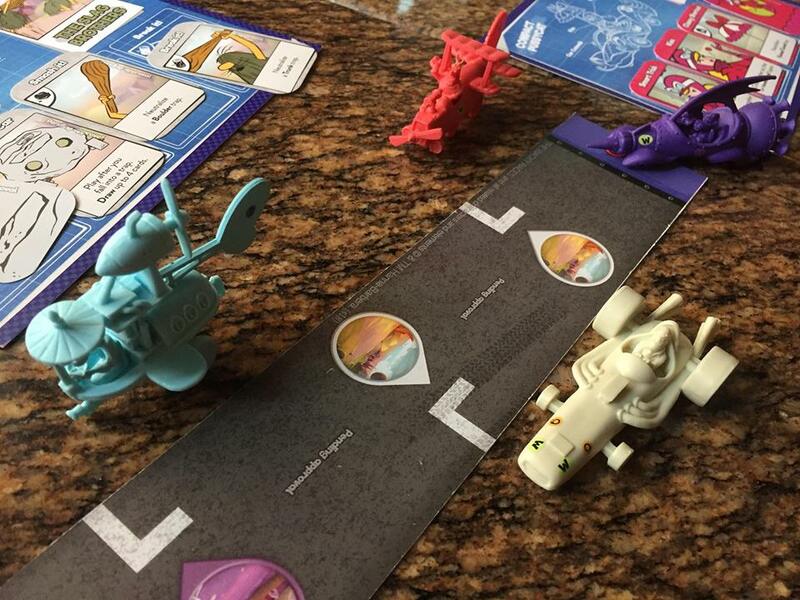 A galaxy filled with aliens, lasers, treasure, and rugged heroes ready to take on anything. It’s coming to Kickstarter on August 28 at 3 PM EST, so prepare your star chart, begin the countdown, and set your phasers for fun! 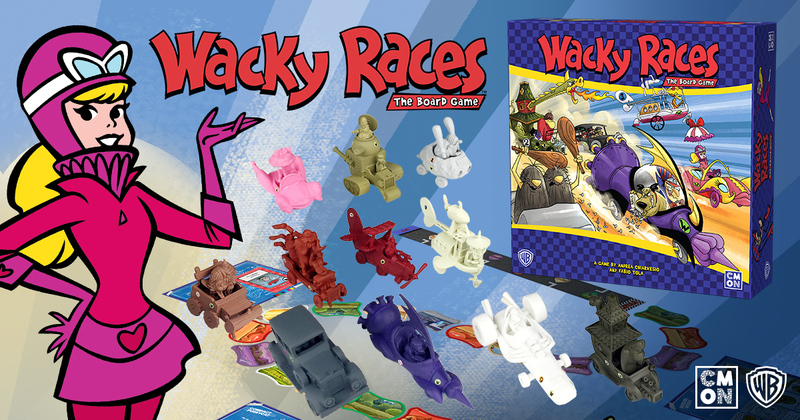 MON Limited is off to the wild-world of cartoon racing with their upcoming release of Wacky Races, in partnership with Warner Bros. Consumer Products, based on Warner Bros.’ popular Hanna-Barbera cartoon. 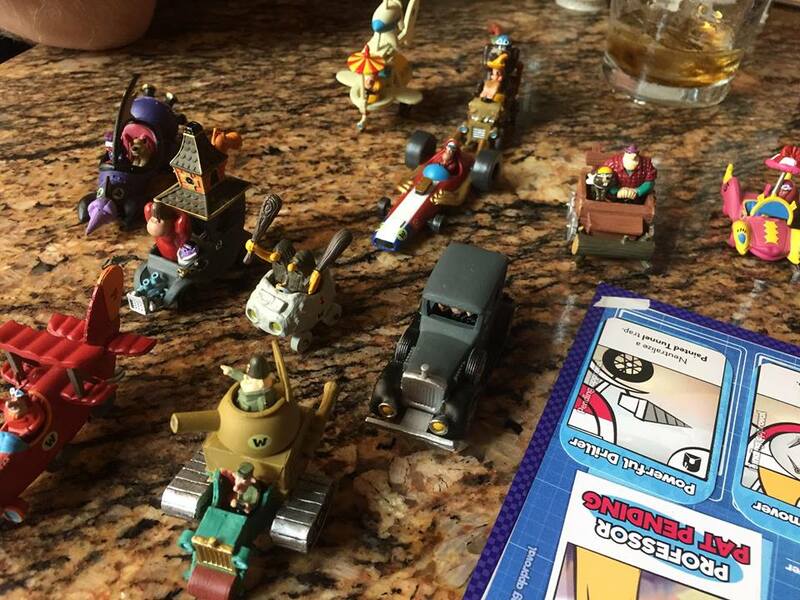 Recreate the crazy, fun, and yes… wacky races from the adventurous 60s animated series. Just might have to dive into Wacky Races.. remember them fondly thru a haze of foggy memory in the 1970's. Well good to see Project elite gets some decent minis. Oh, ya. Those giant Trudavag minis right from the Paul Bonner artwork. Pretty psyched for this. Please. Just a little closure. Tell us that the game is dead. It's fine. We understand. There's enough unit variety out there to last a little while longer yet. Essentially this. If they tell me it's dead I'll grab a last few things and prepare for this to be a game I teach my kiddos as it's fast and easy. I can break out 4 armies whenever for funsies if friends want to play but telling me it's dead means I can wrap it up like other dead games where I'm happy with it and be done. Has anyone played the original Project Elite? Just wondering what people thought of it. 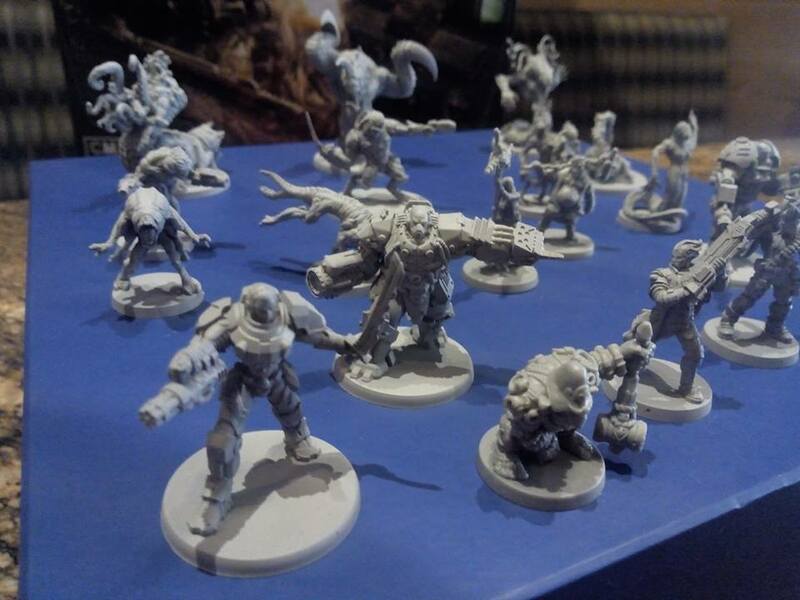 I'd like to be able to use some of the resin minis from the sedition Wars universe in a board game, the monsters in particular were quite nice. Project Elite was a lot of fun. It was very frantic once the action phase started and the timer ticks down. As long as everything is one piece molds I won't be too worried about the models. The original ones are pretty ugly, but they took the abuse of getting flung off the table as we rushed to meet the enemy advance. When someone on TGN criticized CMON for trying to support too many tabletop miniatures games, the moderator (Polar Bear) pointed out that there hadn't been any new releases for Wrath of Kings. That's probably the clearest declaration of death we're going to get. - Split with Gamezone (CMON used to be their US caster). So, yeah- not announcing that Wrath of Kings is over. Maybe they think that a post mortem would kill their chances of moving remaining stock, or maybe they want to keep their options open in the hopes of using that property again. Maybe they just don't like to announce bad news. In any case, we're not going to see the game's death announced. The sodapop stuff was announced. If CMON wonders why they aren't selling any items for a game they don't promote then they are way out of touch. Doubly so if they think that most gamers are stupid and don't know to wait for their annual sale where those items will likely be less than half price. They have no one to blame for the death of this game but themselves. That's the reality they made for Wrath of Kings which is a shame. I love the game and it's one of the very few non-board miniatures games I own any more. Anyone considering backing a CMON Kickstarter project should decide if they are okay buying a game that will get little if any promotion or follow-up outside of the actual project and it's initial retail release. That's just CMON's pattern, though admittedly I didn't realize that back when I backed WoK. If Trudvang Legends has enough Bonner designs, I might actually buy into a CMoN KS again. As far as I can tell the core minis they've show off so far are all based off of his designs. Jen Haley had some pics on facebook of the ones she painted for Gencon. Now Bonner isn't the sole artist for Trudvang, I've got all the RPGs, so I wouldn't be surprised if some stuff isn't based off of his work but a lot probably will be. Trudvang looks very interresting, I love Paul Bonner's work and the gameplay sound promising too. Zombicide RPG cool be nice too, as an opportunity to use all the different minis from the boardgame. It was announced by Sodapop. CMON hasn't ever said anything about it officially. And that announcement came after the split, by quite a bit- long enough for CMON to develop Arcadia Quest as a replacement for Super Dungeon (the announcement was after the AQ kickstarter had ended- it was during the Forgotten King Kickstarter). Project: ELITE is CMON's next Kickstarter campaign coming later this year. This is a brand-new edition of the critically-acclaimed game from Artipia Games. Combining the frantic real-time dice-rolling and tactical gameplay of the original with updated art, components and graphic design, this new version of Project: ELITE will prove an intense and heart-pounding experience for all players. Might have to pick it up just for the minis as I have the SW:AoS rules for them. I see Vokker's (or whatever he's called now) weapon has been redesigned just as well as the original was too thin to transfer to PVC. The minis would probably also be useful in Zc:Invader - crossover perhaps? I find it charming a game that failed because of the models despite a really good system and the models that failed because of the system despite them been really good models (ok its more complicated in their case) are combined into one product. 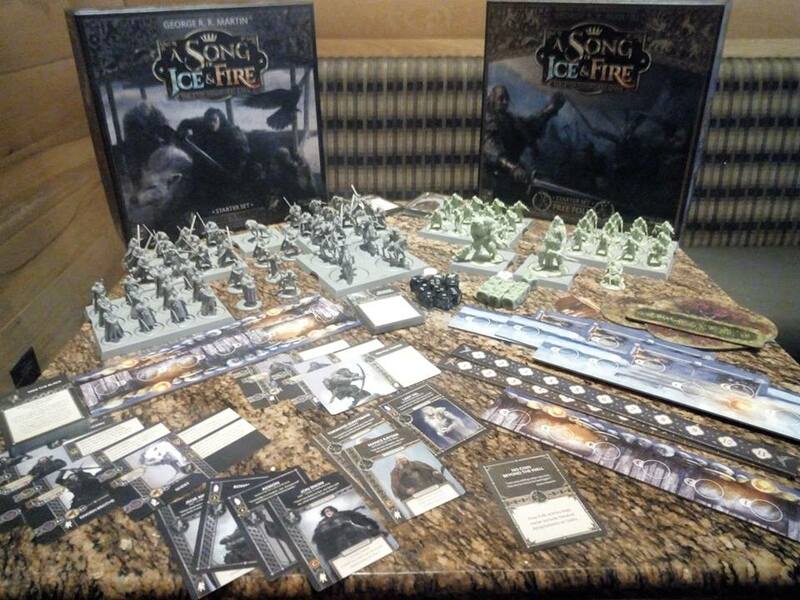 This looks like a game that CMON's already KS'd? But those million dollar campaigns do pay the bills/keep the shareholders happy, I suppose. No, CMON have only taken over the IP now. I didn't mean they've literally KS'd this game already, just a bunch that are very reminiscent. I do wish that CMON would show more love to their only actual wargame too though. A great way to milk both this and Invader would be to have a crossover hero pack. Hell, toss some Xenoshyft crossovers in just for fun! Same scale, same manufacturer, throw in a bonus KS exclusive figure... $$$. 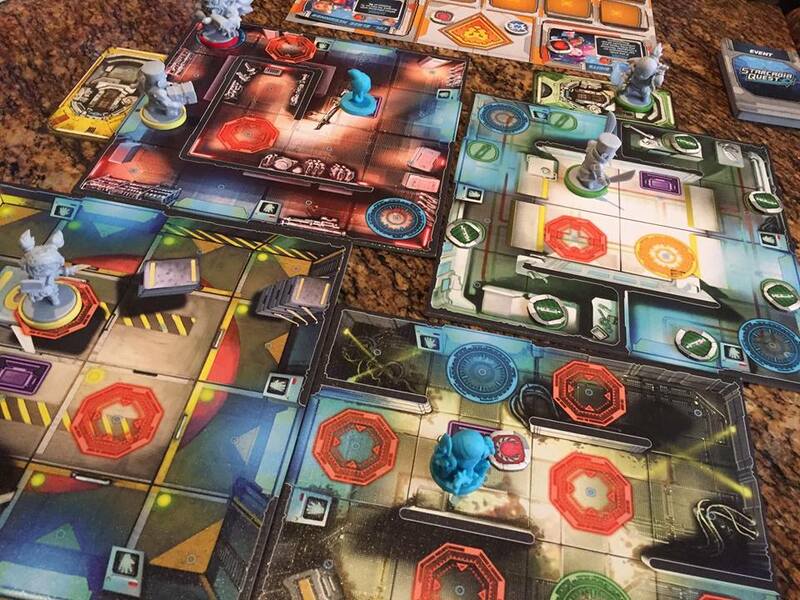 We had a lot of fun with Project ELITE for what it's worth, despite the ghastly figures. I hope for an online countdown/ app/ game tracker with dramatic effects for the timer. Plus the big huge boss monsters should be quite impressive this time around- they were quite large in the previous iteration! Crossover hero pack, crossover monster pack, both ways. Urgh.. Don't tell them. That would probably get me to back, whereas I think I can skip this one as is. Is there any use of the old Sed Wars minis for Project Elite? If so, I'm interested. Trudvang looks excellent! I hope it's chock full of monsters and heroe minis. 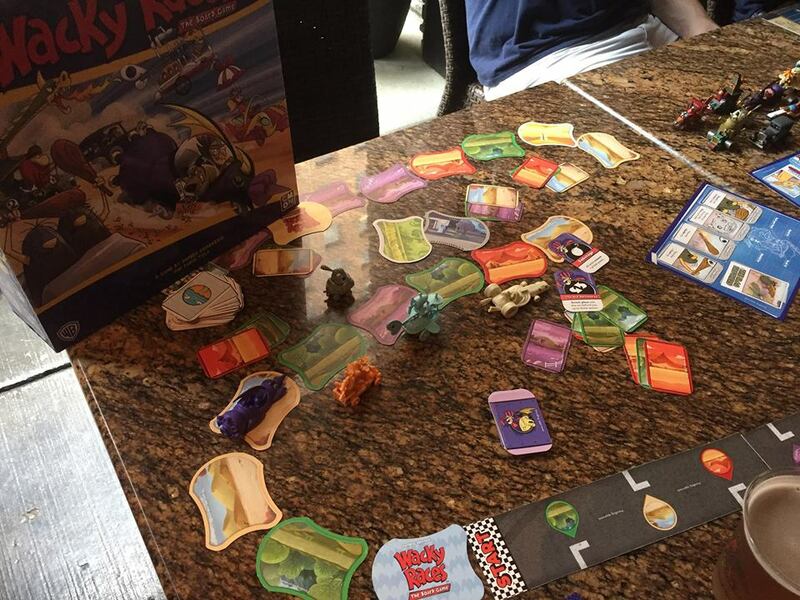 Wacky Races seems like a great game for parents and kids. Or those of us old enough to remember the show. 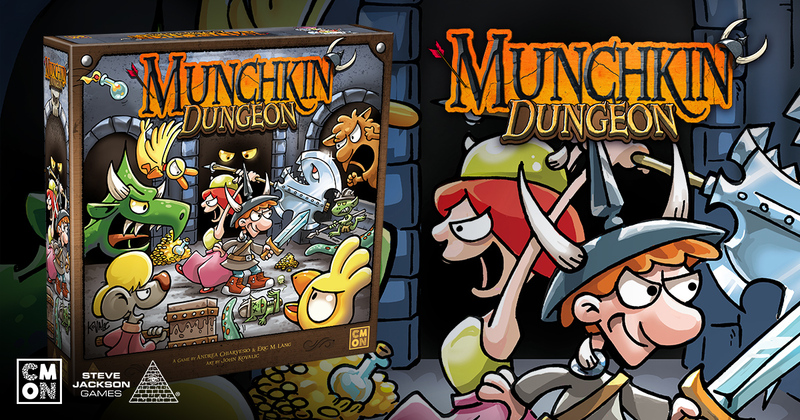 Is Munchkin Dungeon a miniature based Dungeon crawler game with the Munchkin theme? I hope it's not just a bunch of cards, that's what the original game already is!